You are here: Home / Whiplash / What Are Whiplash-Associated Headaches? Whiplash and headaches are a very common duo that frequently occur after motor vehicle collisions. The good news is that most headaches that arise immediately following a head injury (or shortly thereafter) usually improve after minutes or days. But unfortunately for some, these headaches may persist over the longer term and even become a permanent part of life. Researchers use the terms “post-traumatic” and “post-concussive” headache to describe long-term, intractable headaches associated with trauma. Given the back-and-forth, to-and-fro (and every combination in between) mechanism of injury in car crashes, it’s easy to understand why headaches develop. What isn’t so easy to appreciate is why most clear out while others don’t and become chronic. Mild brain injuries are essentially a concussion (also referred to as mild traumatic brain injury or mTBI). This is usually a brief disturbance of brain function causing loss of consciousness or transient difficulty in thought processes. Mental fog, difficulty completing simple tasks, and losing one’s place in the middle of a thought or sentence are common mTBI symptoms. Because standard neurological exam and imaging techniques (CT, MRI, X-Ray, and EEG) usually come back negative, many physicians have resorted to calling these symptoms “psychological.” However, newer technologies such as diffuse tensor imaging or functional MRI can detect the microscopic injuries to the nerve fibers in the brain that may cause the previously described symptoms. A unique difference between the classic chronic tension-type headache vs. those associated with post-concussive syndrome are the additional neurological symptoms: dizziness, ringing in the ears, blurred vision, psychological symptoms including depression, anxiety, personality change, sleep disturbance, and impaired libido. Additionally, patients may also experience difficulty concentrating, poor work efficiency, and difficulty maintaining attention or retaining information—it’s no wonder why disability rates are so high in this patient population. It’s a LOT to deal with! Treatment of this type of headache and constellation of symptoms has traditionally centered on treating each symptom individually, as there is no “magic pill” that gets to the underlying brain disturbance. However, there is hope that patients can benefit from a multi-disciplinary method of combining several techniques such as transcranial pulsed electromagnetic field, biofeedback, brain stimulating games or exercises, chiropractic management of the cervical spine, cognitive behavioral therapy (CBT), the use of fish oil, vitamin D3 with a gluten-free diet, etc. 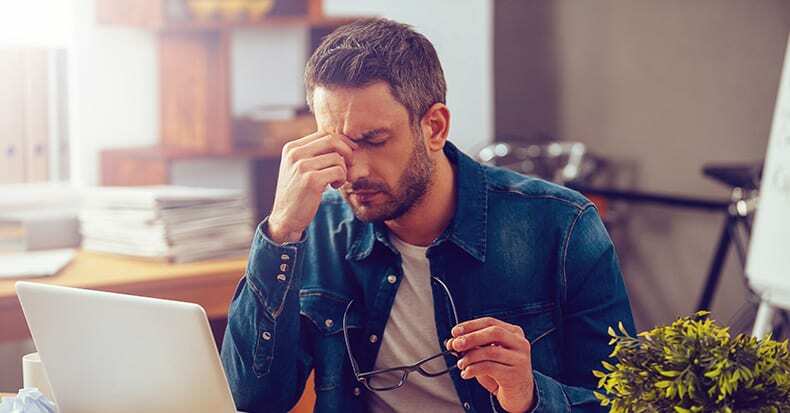 Doctors of chiropractic are trained to identify these types of headaches and frequently team up with allied healthcare providers to form a “team” to BEST serve the patient’s needs. Though it is fortunate most headaches associated with car accidents gradually taper off by the three- to six-month point, it’s important to NOT lose hope for the less fortunate who continue to struggle with post-concussion syndrome headaches.